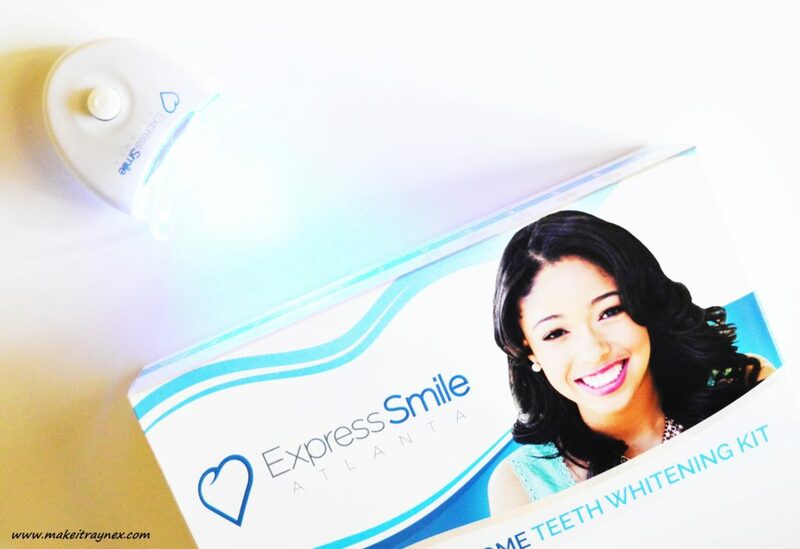 I was so stoked to review this Express Smile Atlanta Teeth Whitening Kit. I mean, the Kardashians use it after all. So it must be great, right? Of course it won’t compare to professional teeth whitening, but I still figured it was worth trying out. Teeth Whitening Pen – You apply a thin layer of the gel onto your teeth and insert the mouthpiece over it. 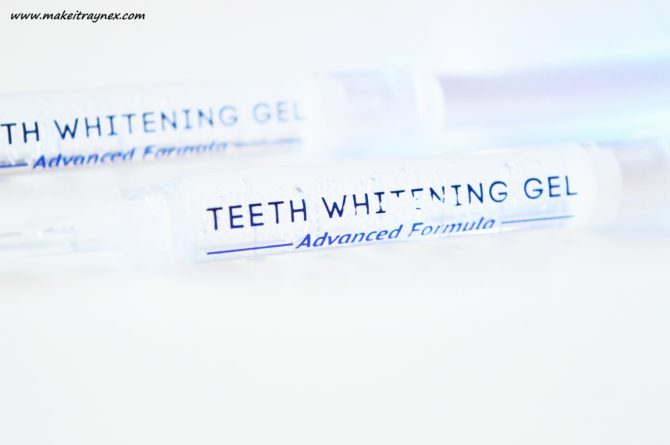 Teeth Whitening Syringe – Apply the gel inside the upper and bottom trays, insert into mouth and insert the mouthpiece over the trays. I preferred option 1 as my teeth felt quite claustrophobic with the trays and mouthpiece in my mouth simultaneously. The mouthpiece sits snugly in your mouth and you can gently keep it in place with just your lips. You need to be careful as to not get any of the gel on your gums or inside your mouth, for this reason I used a small make-up brush to apply the gel onto my teeth instead of my fingers and I found it applied WAY easier. The gel has a pleasant taste to it though (if you do accidentally get some on your mouth). There is added xylitol in the ingredients so I would assume that the xylitol is what the sweet taste is. 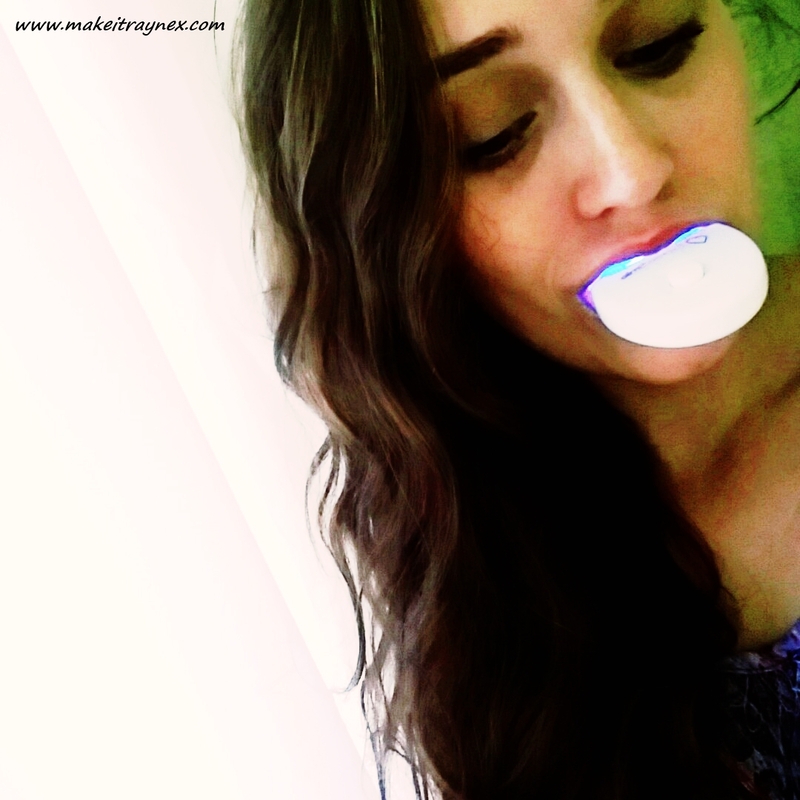 The LED mouthpiece does not feel weird in your mouth nor does it burn but I did find the inside of my mouth went slightly wrinkly after a while – like when you are in water for too long. I clearly have way too much spit going on! Anyway, after the first two goes I did not see an immediate difference but after the third use I was BLOWN away! Literally. I immediately jumped onto Snapchat and updated my story and a few people responded and said that they found the same result so this seems to be the norm. I really was so impressed with that. You could clearly see further into my mouth that I had missed the back teeth and they were significantly more discoloured. It was a blatant colour change. The box comes with a teeth colour chart which enables you to easily track your teeth whitening experience. After the third usage, my teeth had moved three shades lighter. Amazing!! 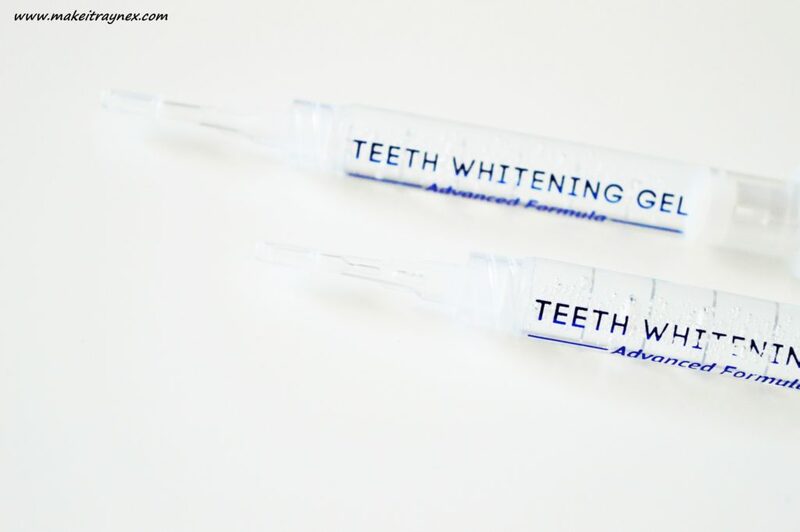 If you feel that you need more effective results then you can always look into other teeth whitening options. The aspect I was most hesitant about was if there would be any pain or sensitivity involved. There are so many stories of LED lights leaving teeth feeling oh-so-sensitive afterwards. 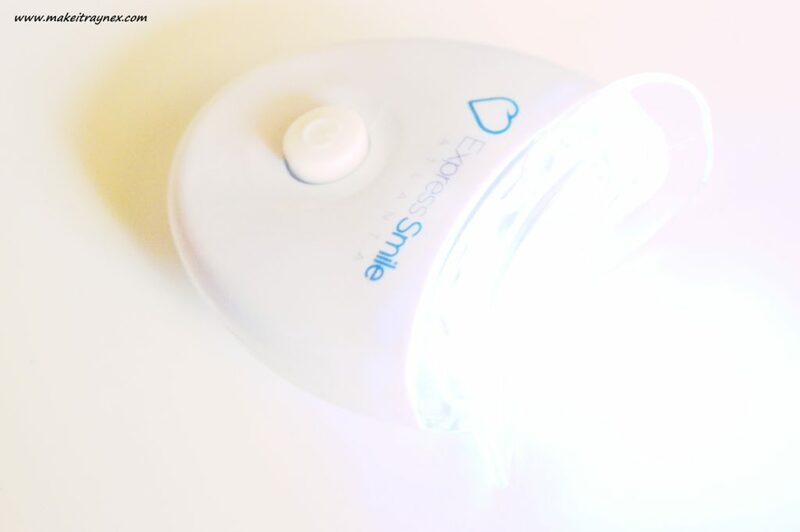 I have three friends who have used the exact same kit as mine and only one has reported on slightly sensitive teeth afterwards and that did not last long either – it seems that the Express Smile Home in One kit is the only teeth whitening kit that does not cause any teeth issues afterwards! Overall I am truly impressed with this luxury kit. It did not turn out to be a gimmick at all, as so many of these products tend to be. 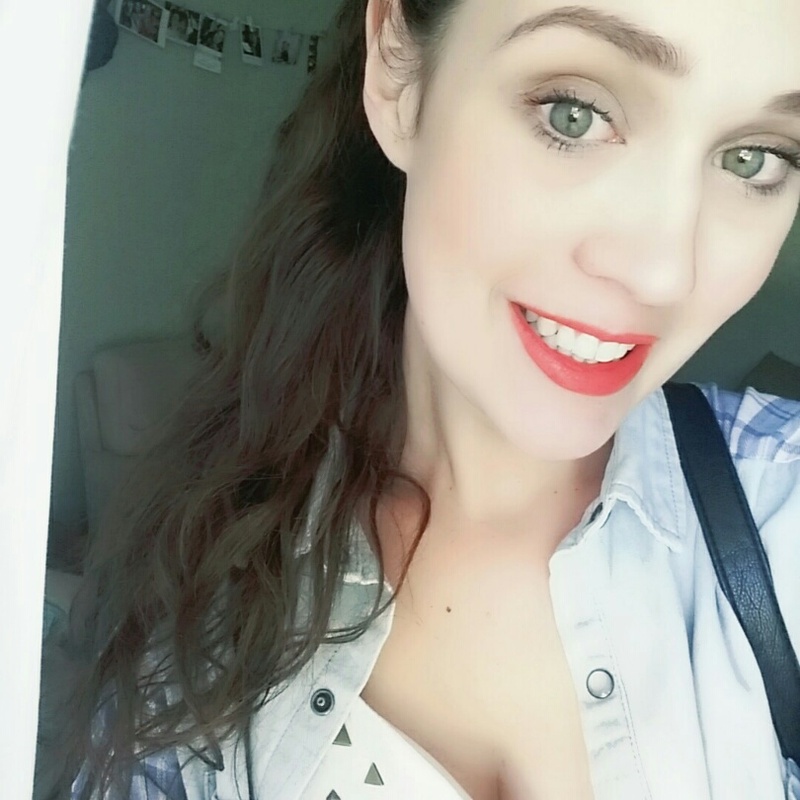 Now, if only I could wrestle it back from my obsessed boyfriend..
I’ve had my teeth professionally whitened already, and I think the sensitivity just depends on the person – my teeth are usually quite sensitive to cold/heat, but I had no problem at all. 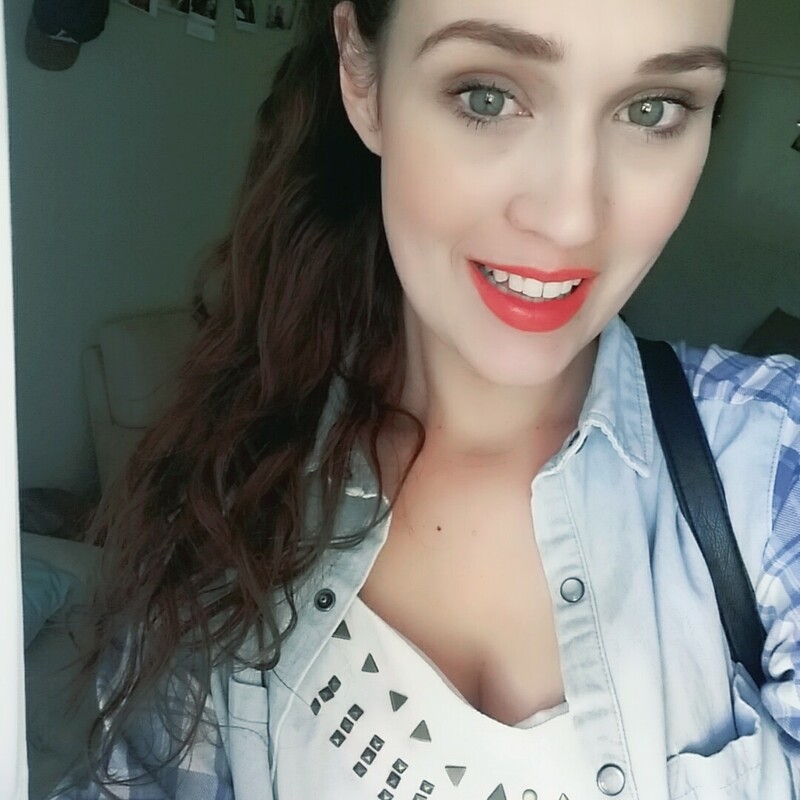 I had my teeth cleaned a month before the whitening, and they did 4 sets (application of gel, light applied, removal of gel and then reapplication) of whitening on me in the 1 and a half hours I was there. They usually do 3 sets but because I’d felt no pain, the lady slapped more on! I felt a slight bit of sensitivity spark in one tooth on and off for the next 10 or so hours, so I didn’t even need to use the numbing gel they’d given me in case there was pain. I didn’t even take any pain killers. My friend, rather stupidly, had his teeth cleaned the day of his whitening. They couldn’t even finish the full 3 sets on him, he only did 2 and a half. He was in agony the whole of the day, and had to take my numbing gel when his finished. I find the whitening strips from Crest (or the ones that Leigh from Lipgloss Is My Life is selling) work better than the pro treatment though!